Just how big of an impact will Kevin Harvick’s penalty have on the playoff picture? On Nov. 7, in the midst of fallout over the day before’s U.S. midterm election results, NASCAR Twitter was basically broken. NEWS: No. 4 team no longer locked into Championship 4 following L1 penalty at @TXMotorSpeedway. Kevin Harvick’s Stewart-Haas Racing team was found to have cheated and messed with the third party-supplied spoiler, which is a pretty big no-no in NASCAR terms. NASCAR found this out after doing a full teardown of the car in the R&D center sometime during the first two days of the week. 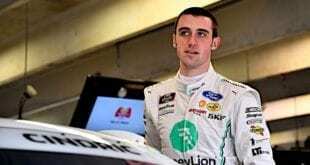 The team’s win at Texas Motor Speedway was encumbered, and the team and driver are no longer locked into the Championship 4 at Homestead-Miami Speedway. 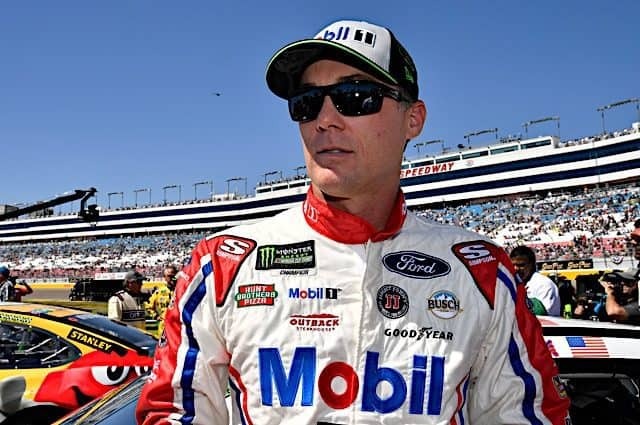 Harvick was further penalized 40 driver points, and both crew chief Rodney Childers and car chief Robert Smith will not be allowed entry at the last two races of the season. Tony Gibson, who won the Daytona 500 last year with Kurt Busch before moving to a shop role as production manager for SHR, will be on top of the pit box for Harvick the last two weekends. 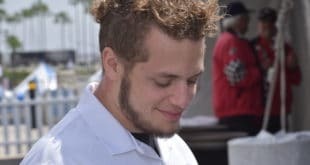 Childers was also fined $75,000. Harvick’s team was not the only one found to have problems in R&D. In fact, the other two teams that sent cars to the R&D, the No. 12 Ford of Ryan Blaney and the No. 20 Toyota of Erik Jones, were also found to have L1 penalties. Both have lost their car chiefs for the rest of the season, both have lost 20 driver and owner points, and both crew chiefs have been fined $50,000. The Cup race for Homestead has just dramatically opened up. After the dust settled, Joey Logano remained the only driver we know for certain will be racing for a championship next week. Kyle Busch has a 28-point advantage and Martin Truex Jr. enjoys a 25-point cushion over the cutoff line. Both drivers have probably had quite a lot of stress vanquished thanks to the penalties; now it’s more than likely Sunday won’t become a dogfight between the two even if there’s a new winner. The other five drivers can now technically point their way into Homestead, to varying degrees of probability. Harvick now has just a three-point advantage over teammate Kurt Busch for the final championship spot. Chase Elliott is 17 points out in sixth, Aric Almirola is 35 points behind Harvick and Clint Bowyer would need a lot to happen but could still technically point his way in from 51 back. Of course, points don’t matter if the driver in question can win the race, and unless Kyle Busch or Truex have a complete collapse, Harvick is going to need to just hope none of the four drivers behind him win. SHR was the only team that got all four of its drivers into the playoffs and also the only team that got everybody into the final round outside of the one car Furniture Row Racing team. Now, if Elliott can improve on his third at ISM Raceway in the spring and second last year in the fall race and ends up winning while Harvick can’t catch Busch or Truex, all four could very well end up on the outside looking in come Homestead. Will NASCAR start taking wins away again? It’s completely ridiculous that Harvick will be able to keep his win. The record books will always say that Harvick won that race, the trophy will stay on his mantle and SHR will keep the winnings. Sure, he might not be going to Homestead with a chance for the championship. But NASCAR still not outright taking wins away is a complete failure. It’s happened before. Heck, the very first Cup race in history was given to Jim Roper in second after original winner Glenn Dunaway’s Ford was found to have illegal springs. But it’s almost unheard of in the past 30 years, unless your name is Regan Smith. And there’s no reason why it doesn’t happen more. Right now, there are no real repercussions for a team to cheat like hell to win the Daytona 500. Sure, the win would be encumbered and 40 points would be gone, but so what? The win would stay in the record books, the winner would keep the trophy and NASCAR can’t exactly fine the winner’s purse of over $1 million. So if Harvick shouldn’t be the final winner of the race, who should be? Blaney can’t be given the win in good faith after his car was found to be encumbered. And Logano in third wasn’t even sent to R&D to be cleared. 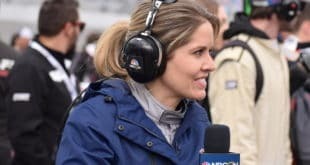 NASCAR Senior VP of Competition Scott Miller said in a teleconference on Wednesday that NASCAR was looking at everything on the table, including stripping wins for next year. Instead of doing the current R&D system (where the top two and a random car in the top 10 go to NASCAR’s R&D center following the race), I’d add in third and turn Victory Lane into more of a podium celebration. Then, midweek, if NASCAR were to find something it didn’t like in any of the top three drivers, drop the hammer. The drivers lose their win/top-three finish, lose stage points, lose their money and have to hand back their trophy. And if all of the top three fail R&D tech, technically nobody would be given the win but fourth would be given the points and winner’s purse. Until a system like this is put in place, however, cheating will stay rampant, because winners stay winners under the current one. Hit them where it really hurts. How will Martin Truex Jr. fit in at Joe Gibbs Racing? Lost in all of the breaking news surrounding penalties on Wednesday was the announcement most already had figured out, that Martin Truex Jr. will join Joe Gibbs Racing in 2019 and beyond. Truex will bring crew chief Cole Pearn with him, which is going to bring some of the best minds in the business in the past five years (Pearn, Adam Stevens and Jason Ratcliff on the XFINITY side) under one roof. The one-two punch of Truex and Busch could be a devastating combination, especially when paired with emerging talent Erik Jones and rounded out by veteran Denny Hamlin. As expected, Daniel Suarez was officially confirmed to be leaving the team. Unexpectedly, considering how late it is into the year, sponsorship was not announced for the team. Another silly season move may be coming on Friday morning at ISM. Chip Ganassi Racing has a ride open next year and has a scheduled press conference… right before free agent Kurt Busch also has a press conference. Cue the “hmmm” emoji for this one. What will the changes to ISM Raceway do to affect the racing this weekend? There have been big changes made to ISM Raceway since NASCAR raced there in the spring. What was once the backstretch is now the frontstretch, and what is now the backstretch was once the frontstretch. The start/finish line is now right before the kink on the straightaway. The reasons for these changes are to both improve the race quality and to make the races more bearable live. Now, grandstands won’t be directly facing that hot Arizona sun, and there’s also been a new infield for fans. The Cup race on Sunday has already sold out, and that infield will be the only way fans will be able to get any late tickets. As far as the racing goes, we’re entering bizarro land, right? Well, as far as who could be out front, no. Looking at who was good at Atlanta Motor Speedway before its even more dramatic change back in the late ’90s and who was good after, there are not really many different names. Bobby Labonte still dominated, and so should Kevin Harvick this weekend. Losing Childers on Wednesday isn’t going to hurt his speed unloading on Friday, and I trust Gibson’s ability to keep the car on track to compete through Sunday. Tags Kevin Harvick Martin Truex Jr. This reminds me of Jr. Hanley trying to pass inspection at an ASA race. The headline is misleading as is the intent. Smokey did not violate the rule book. The things he did were not covered by the rules when he did them, Smokeys innovations caused changes to the rule book. You have used the name os a great innovator to get people to read your article. Shame on you. Maybe a little more research would help. Read Smokeys books available at SmokeyYunick.com. They would be beneficial to your understanding of Smokey and NASCAR. All this Nascar fine money where does it go? It should go to old retired needy NASCAR drivers who sacrificed to help make the sport what it is…..
Just read that the #4 crew-chief indicated the spoiler did not provide very much downforce and was not the reason the #4 won at Texas. How much money did SHR spend to yield such little gain (and one is still left to wonder what other illegal parts were/are on the car(s) that have yet to be discovered)? I have little sympathy for the well-funded teams when they complain about lack of sponsor, TV, or whatever money – the well-funded teams do not need the money to eke out an existence, they use the money to find ways to stretch the rules. I still enjoy remembering, early in this season, when essentially only the well-funded teams complained about the issued air-guns (the lesser-funded teams had little to no issues with the gun); what I enjoyed learning was the well-funded teams were apparently using helium (some teams apparently this gas used in their expensive guns in the previous year), which apparently provided a higher rpm to the issued gun; Nascar told the teams to follow the manufacturer instructions for the issued gun, and use nitrogen, rather than helium or other stuff; I have not heard any complaints about the guns since then (helium use in the guns was legal, but apparently caused erratic performance – this was one of the few instances that I can remember of the lesser-funded teams having fewer performance problems than the well-funded teams). If they can’t find the violation at the track, then Nascar is SOL. If it takes minute inspections, virtually tearing down the car to find, then pat that crew chief on the back and smile. All the rules haven’t done anything to ‘enhance’ (Nascar’s favorite word) the competition or popularity. Looking a empty stands and falling ratings tell the tale. I think Nascar has cleaned up its act too much. We need some of that old bootlegger grit back. tell some sponsor you want him to spend millions on your car but you may get beaten by a illegal car. They may not be as receptive as you would like. It’s time to start taking wins. It’s not 1980, when you might not find out about a penalty until you got your copy of Winston Cup Scene in the mail later that week. If a car fails post-race tech, everyone at the track can find out quickly via their smartphone. NASCAR should do a through post-race inspection at the track and declare the results official. They can then bring cars back to the R&D Center where if they find anything else they can tell teams to not do this again or else, and update the rule book accordingly (e.g. Gordon’s T-Rex Car). First off taking cars back to the R&D center is a problem. There is too much scrutiny and likely its likely to find issues with almost any car. Also, taking only three is an unfair advantage to others. Needs to be at least 5 maybe more and every single car should have to go through at least twice during the season. big, medium or small team be damned. A) if it can’t be dealt with at the track in post race inspection then likely not that great of an advantage. In this case it was not caught at the track even though apparently someone as a NASCAR official thought it looked off during inspection. FIRST ISSUE should have a way to check at track. Second issue who blew it off? B)Too many rules for keeping track of. Again keep it as simple as possible to be able to deal with it at the track during inspections. NASCAR as all this money to keep buying stuff so they should be able to have two teams of inspectors at the track. One team does one set of inspections and the other does the others. fresh set of eyes on the cars for post race. Theory would be this team is less tired from a long day and may catch issues either missed or that occurred, from before, afterwards. C) someone answer me this: Is NASCAR, as a sport, better off now with all of these rules and such then back when the sport was much more popular and the racing perceived to be better but did not have so many rules enforced? Keep in mind numbers of cars on the lead lap at the end of the race is not a valid measure of the racing being better or not. It is an artificially created number when comparing it to the previous decades of racing. A better indicator might be the delta between 1st and 10th during the running of the race. This again would not just be at the finish. There have been a lot of good finishes without the race itself being good. That headline made me waste my time reading this crap. I’ll skip this from now on. What a stupid headline. Don’t see why you invoked Smokey’s name into this fluff piece. IMO, if the top 3 cheats, then 4th (or until we have a 100% legal car) gets the 1st place winnings, points, trophy, etc. What was the biggest case of cheating that NASCAR has ever uncovered? Richard Petty’s oversized engine at the Ontario final? Please feel free to chime in! Larry Phillips with the frame rails partially filled with mercury has to get an honorable mention. There have been countless innovative cheating attempts in NASCAR’s history. Other than Smokey Yunick who was the best damn creative engineer in town, the first thought that came to mind was DW’s car with BB’s in the frame rail that he could dump on the backstretch on the pace laps by pulling a cable which opened a trapdoor. Voila! instantly lighter and faster race car. Marty Robbins used nitro and passed Richard Petty on the backstretch and laughed as he looked over to see the incredulous look on Petty’s face and drove straight into the garage at the end of the lap. There was also sand in the frame rails that got dumped on the track.